The University of Essex is delighted to announce the appointment of Speaker of the House of Commons, The RtHon John Bercow MP, as our new Chancellor. 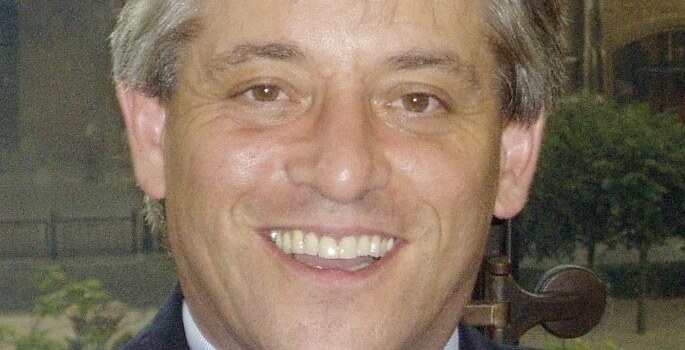 Grandson of Romanian immigrants, the son of a mini cab driver, the first in his family to go to university, and a Member of Parliament, John Bercow as Speaker has been a champion of equality and diversity in the House of Commons, for Parliamentary democracy and making the work of Parliament more accessible. As a graduate of the university, I have always had a special place in my heart for Essex. Whenever I visit, I feel a surge of excitement and I am reminded of my fond memories of the place, which, more than any other place, changed my life. “As a graduate of the university, I have always had a special place in my heart for Essex. Whenever I visit, I feel a surge of excitement and I am reminded of my fond memories of the place, which, more than any other place, changed my life. John has been an advocate for the University of Essex for many years. He was one of the signatories of the Commons motion to commemorate the University’s 40th Anniversary, and the original launch for the University’s 50th Anniversary took place at the Speaker’s House. He has remained very engaged with the work of the university, most recently sharing his enthusiasm for tennis by officially opening the new tennis courts on the Colchester Campus. He also hosted a memorial event for the life of Professor Tony King in Parliament in June 2017. He received an Honorary Degree from the University in 2010.